What is the Amazon Buy Box and how can you win it? The countdown for the arrival of Amazon in Scandinavia is drawing ever closer - so it makes sense to get to grips with how specific Amazon-seller advantages work. We're looking at how the Buy Box works, and how you can master it to give your products the biggest advantage when selling on Amazon. In part 1 of our blogpost series on 'How to Boost your Amazon rankings.' we promised an article that dealt exclusively with the Amazon buy box - and here it is! So, first things first, what is the Amazon buy box? 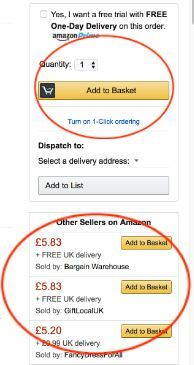 The Buy Box is simply the white box on the right side of the Amazon product detail page beneath 'Add to basket', where customers can add more items to their cart - see image (below, right). - with an even higher percentage for mobile purchases. BUT - Not all sellers can win the Buy Box. Only sellers with amazing customer reviews, high POP scores and good seller metrics get a chance to win a share of the fabled Buy Box. As we have mentioned in our previous posts in this series, to get the best rankings you have to first have a look at how the Amazon algorithm ranks its' sellers. - So let's do that now! What makes you eligible to win a share of the Buy Box ? As with most of Amazon's algorithm, there is often no set formula. However, in this case there are a number of boxes you should tick first, before you have a chance of winning the Buy Box. Only those with a Pro-Merchant account on Amazon are eligible. So if you currently hold a Basic Account you will first need to upgrade. Next is the fact that you need to be approved by Amazon that you are eligible to receive the buy box. Visit the Amazon Seller Central to see your approval status. All your products must be new in order to be eligible for the buy box. This is where frequent feed updates are crucial. If you want to be competing for the buy box your items must be available, otherwise the algorithm will simple select your competitors. "What does the Amazon algorithm look for when selecting a Buy Box winner?" 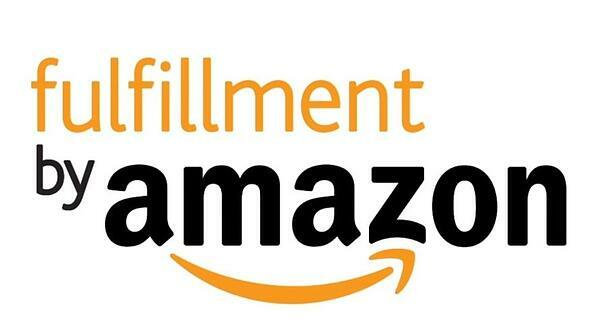 This is a service you can opt into which lets Amazon pick, pack and ship your orders. Those that use FBA are more likely to rank higher and have a chance of gaining the valuable Buy Box. Obviously there isn't a 100% chance of winning the Buy Box through adopting FBA, but it's definitely the easiest way to boost your chances and should be something to consider. This is the total price one of your Amazon listings sells for and included shipping. The lower the landed price, the greater you chance is to get a share of the Buy Box. The final metric we are going to look at is shipping time: simply the time in which the seller (you) plans to get the item to the customer. For products where time is important (like Christmas, Birthdays) the impact of this Buy Box metric will be even greater. The shorter the time, the more likely you are to win the buy box. It's probably worth considering! There isn't a secret approach to 'tricking' the algorithm into selecting your products, but ensuring you hold a Pro-merchant account, regularly update your feed, offer competitive pricing and great customer service will give you a significant chance of claiming it for yourself! Download our e-book 'Selling on Amazon 101' which looks at how you can create, optimize and manage your data feeds to get the best results for Amazon.